In addition to throwing off the body’s homeostasis (state of balance), excess sugar may result in a number of other significant consequences. The following is a list of some of sugar’s metabolic consequences from a variety of medical journals and other scientific publications. between them is how long they take to break down and get into the blood stream. 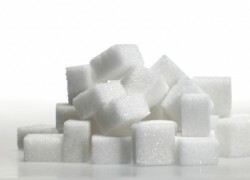 Alter or artificial sugars should be avoided. 14. Sugar raises the level of a neurotransmitters: dopamine, serotonin, and n norepinephrine. 90. Sugar combines with and destroys phosphatase, an enzyme, which makes the processof digestion more difficult. 101. I.Vs (intravenous feedings) of sugar water can cut off oxygen to the brain.